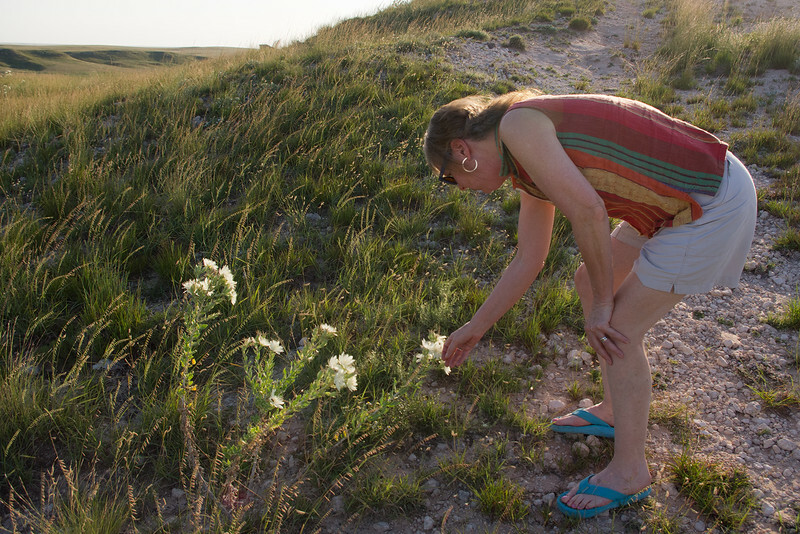 Rita, looking at some prarie flowers at Big Basin Prarie Reserve (St. Jacob's Well), Kansas. 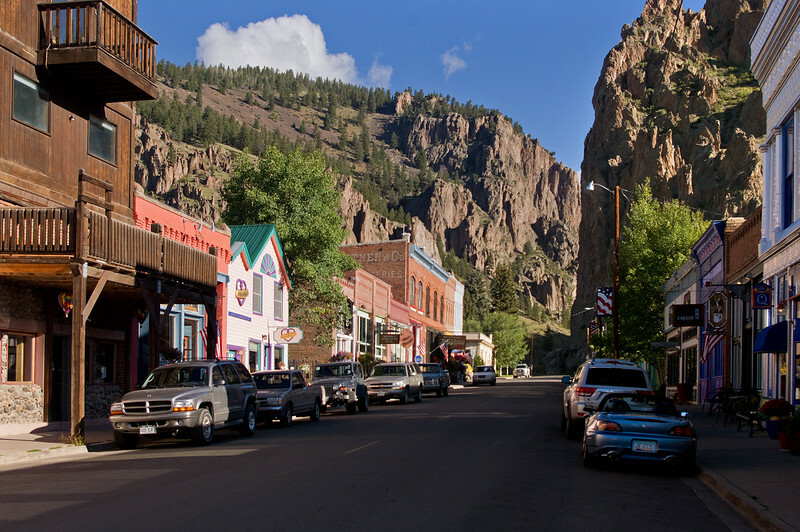 Shops along the street, Creede, Colorado. 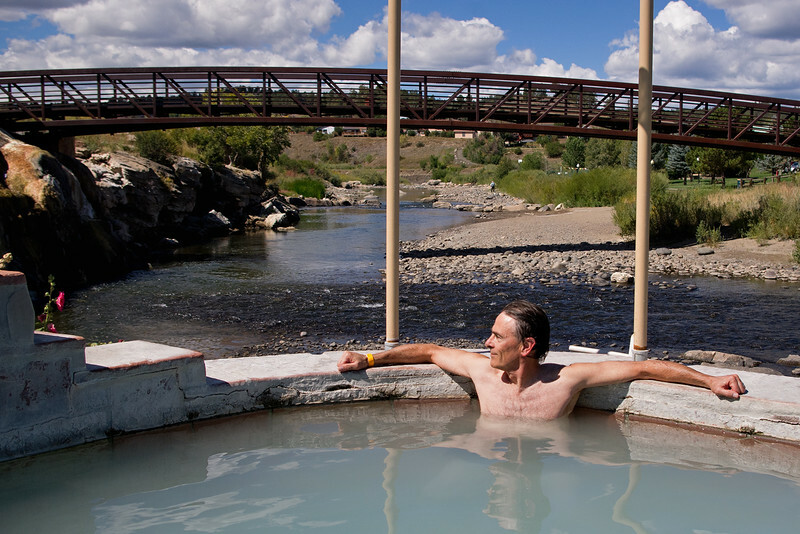 Gary in the hot springs at Pagosa Springs, Colorado. Behind is the San Juan River. 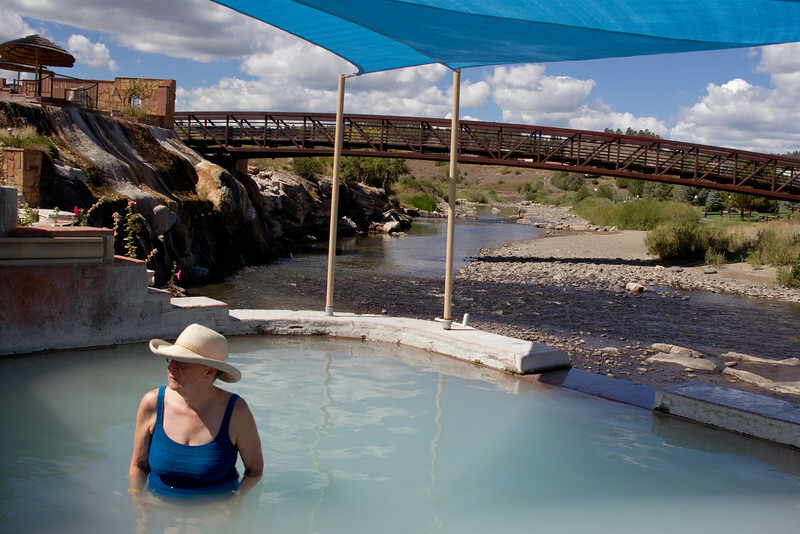 Rita in the hot springs at Pagosa Springs, Colorado. 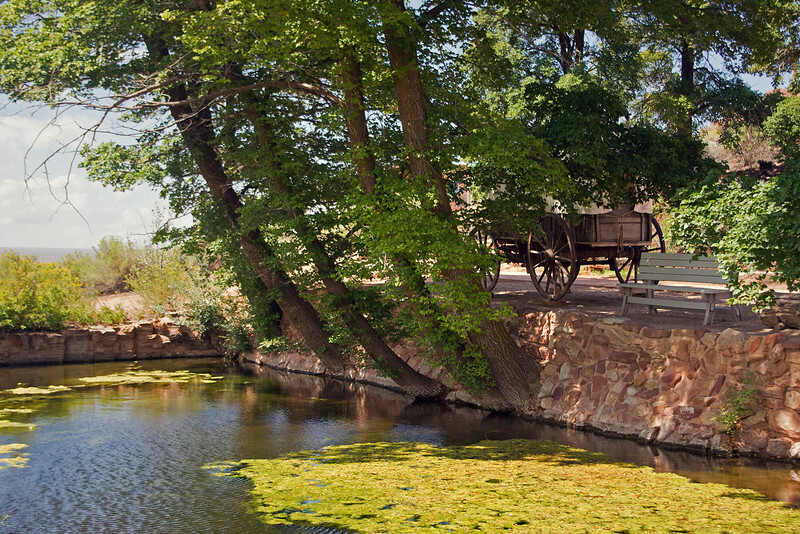 The San Juan river in the background. 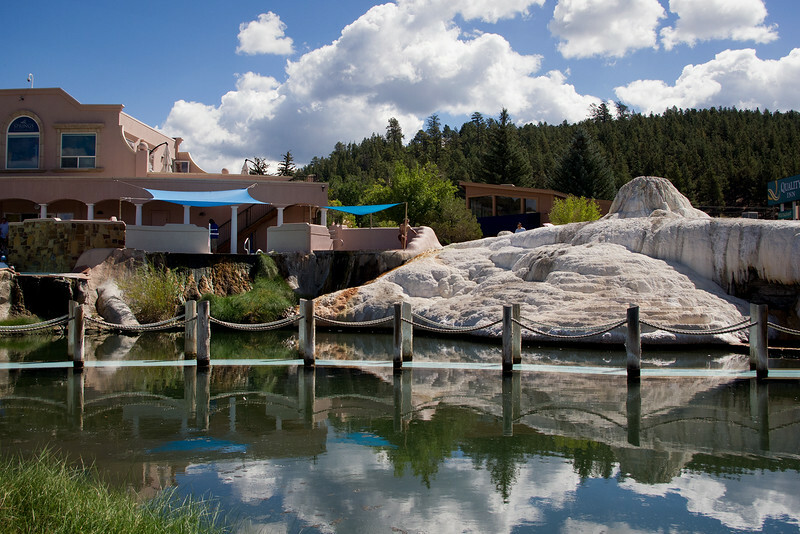 Spa at Pagosa Hot Springs, Pagosa Springs, Colorado. Rita and our tent in the Palisades Campground, which is located in the Rio Grande National Forest between Creede and South Fork, Colorado. 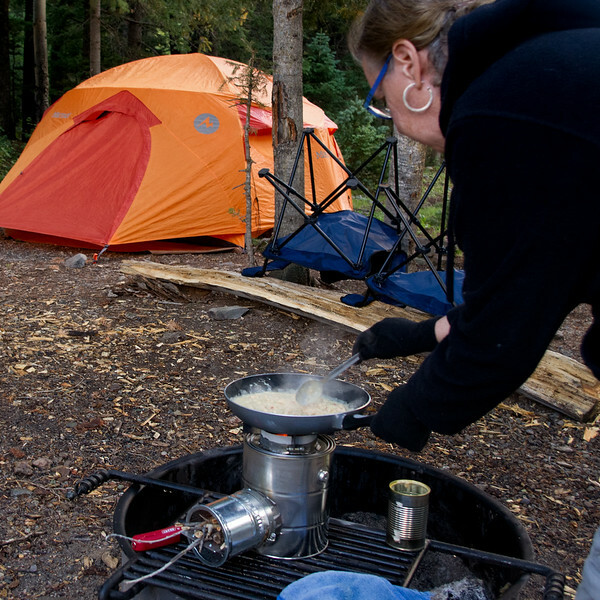 Rita cooking on the home-made 'rocket stove' - Palisades Campground, Rio Grande National Forest, Colorado. 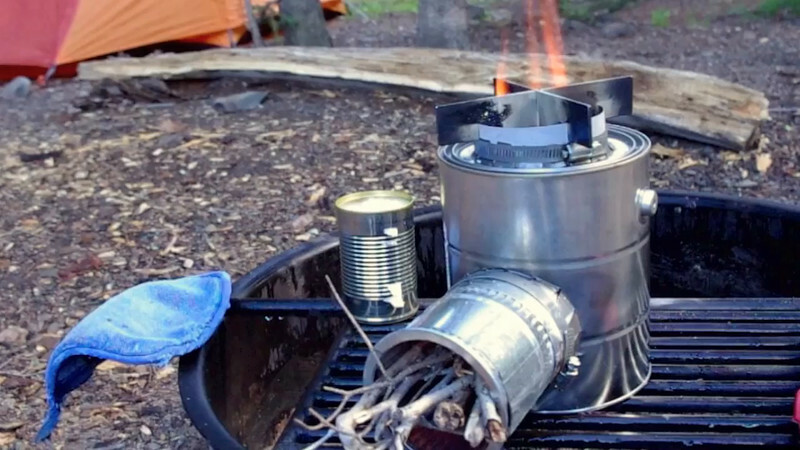 A short video of Gary demonstrating his hobo rocket stove, made from a gallon paint can, some stove pipe and scrap metal. 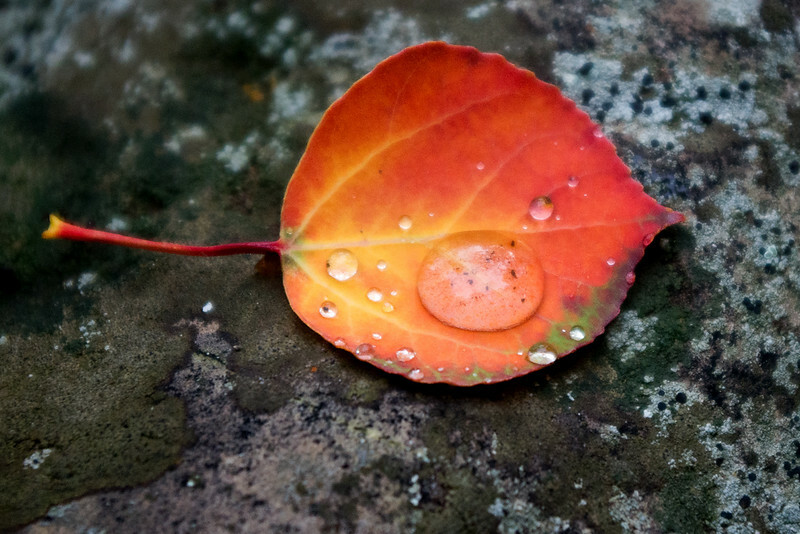 Water droplet on aspen leaf. 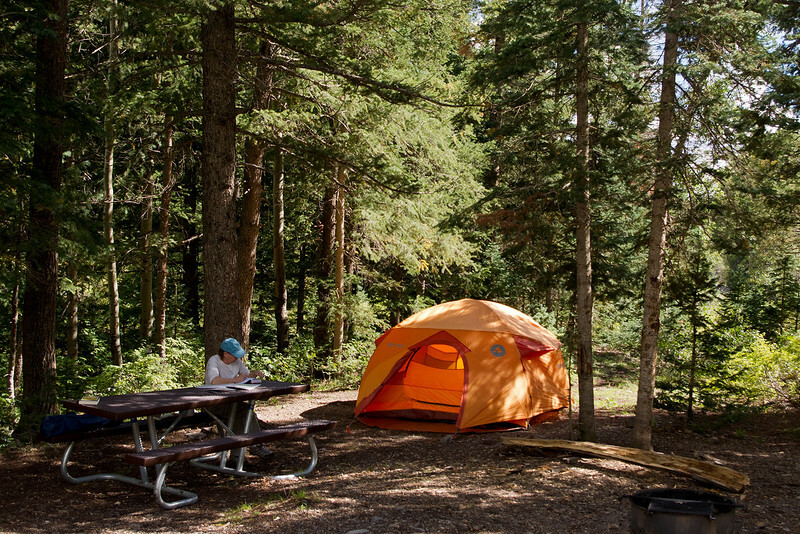 Palisades Campground, Rio Grande National Forest, Colorado. 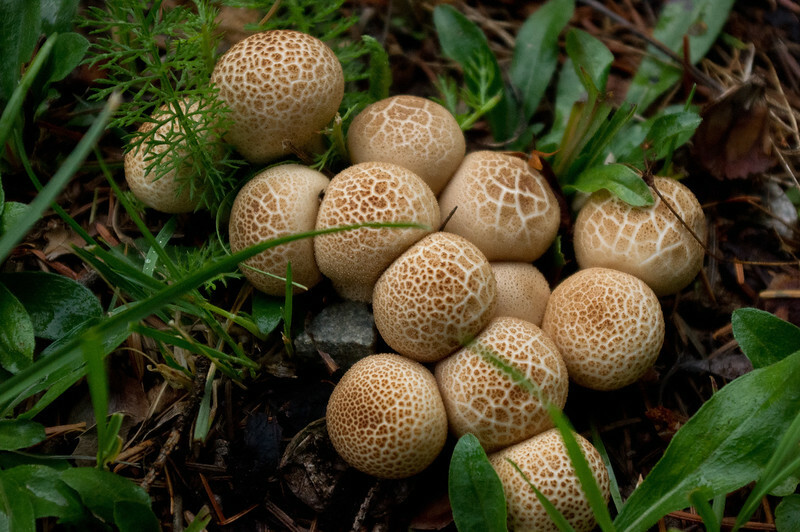 Mushrooms seen in the Palisades Campground, Rio Grande National Forest, Colorado. 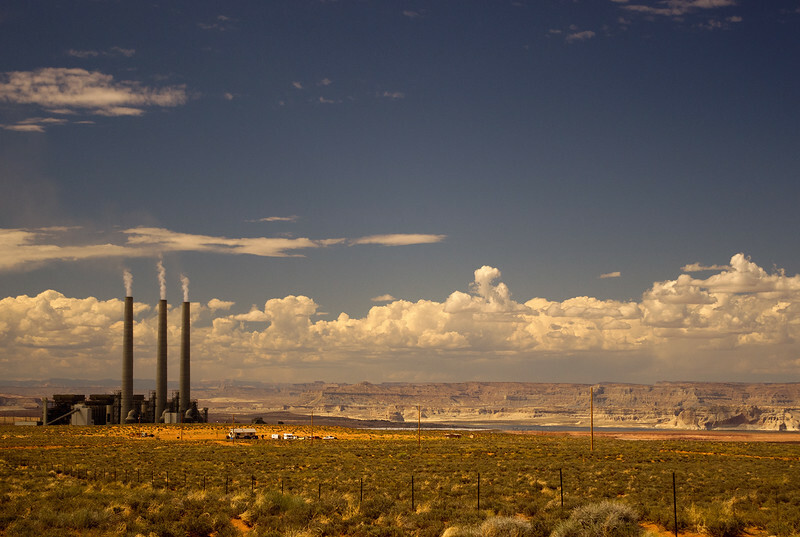 The Navajo Generating Station near Lake Powell and the Arizona-Utah state line. 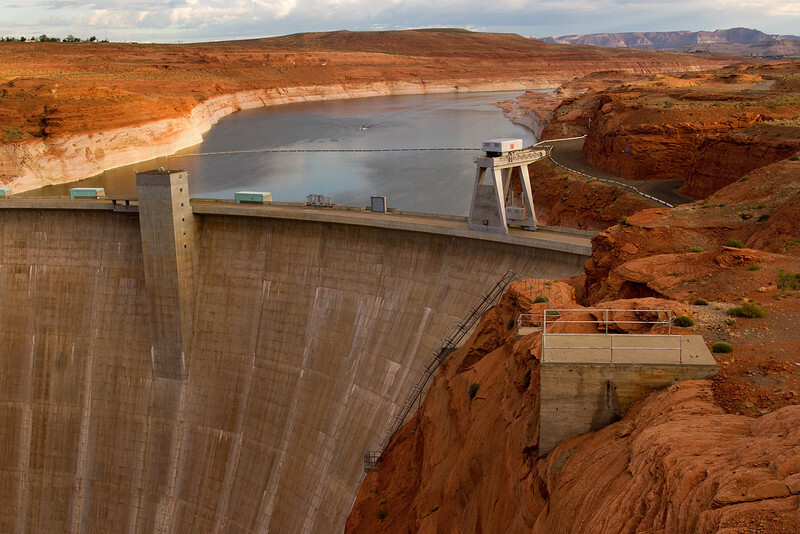 Glen Canyon Dam, near Page, Arizona. Behind the dam is Lake Powell, most of which is in Utah. Rita's panorama of Lake Powell, Arizona. 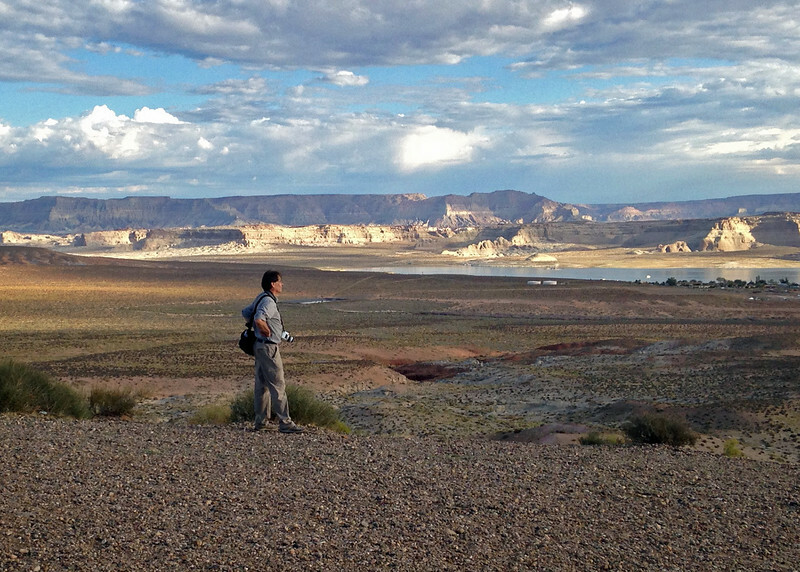 Gary, looking at Lake Powell in the distance; photo by Rita. Rita looking at Lake Powell in the distance. 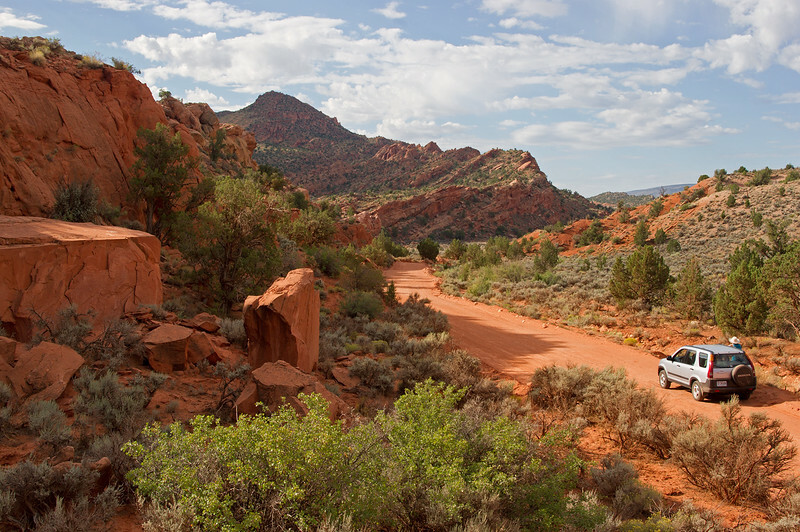 When we discovered our intended route had been closed by a landslide - a year ago - Rita found this scenic shortcut, called House Rock Road, which parallels the Vermillion Cliffs in Arizona. "HIgh clearance 4-WD recommended." There was only one really bad place - the rest was OK dirt and gravel (on a dry day). Gary standing in the arroyo next to House Rock Road in Arizona. 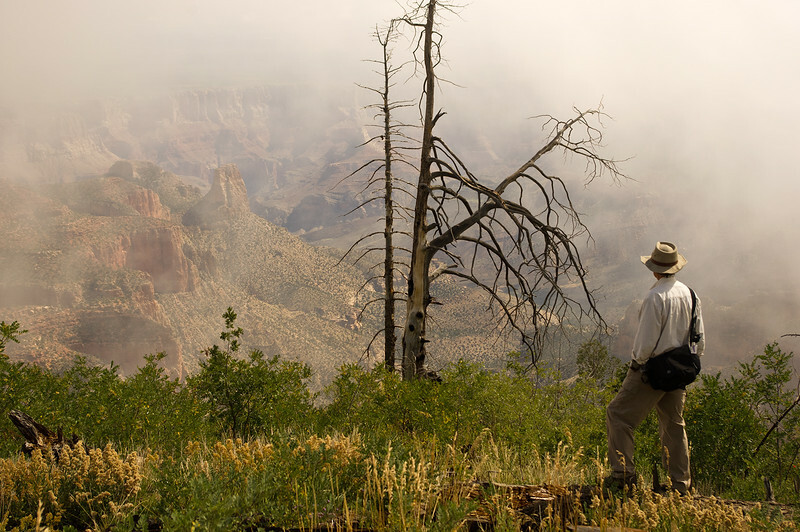 Rainey day on the North Rim. 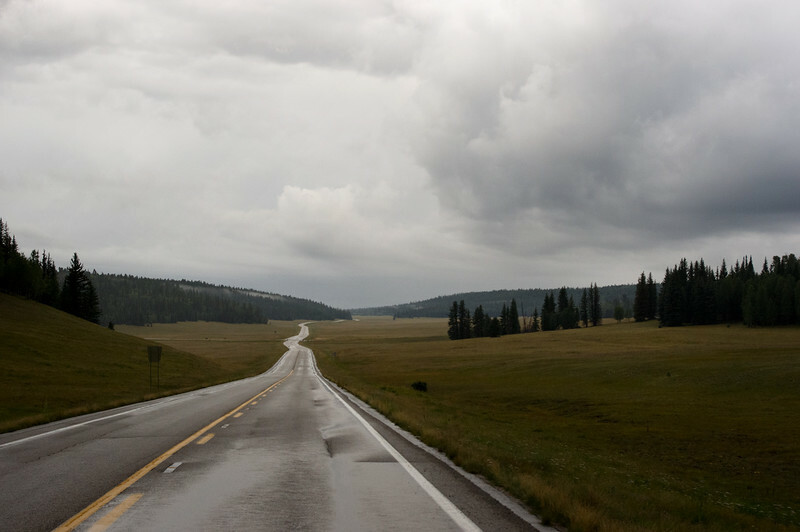 This is Arizona 67, which is the route in and out of Grand Canyon National Park, Arizona, and the Kaibab National Forest. 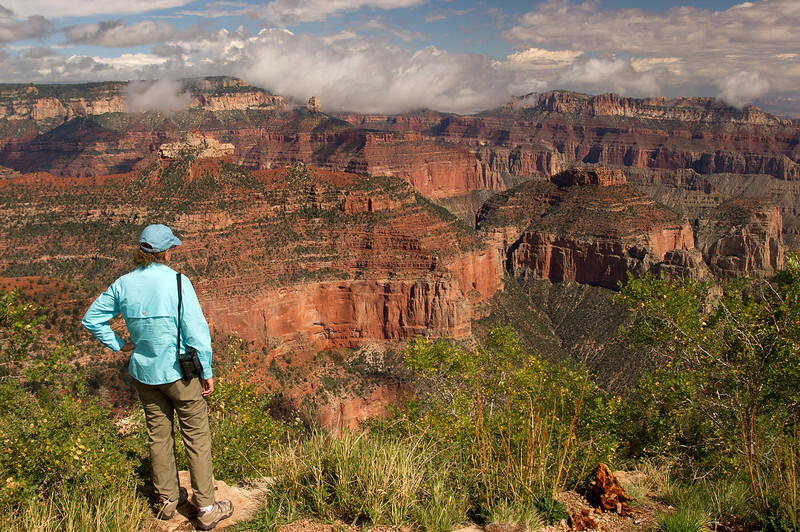 Here, we are headed from our camp at DeMotte down to the North Rim. 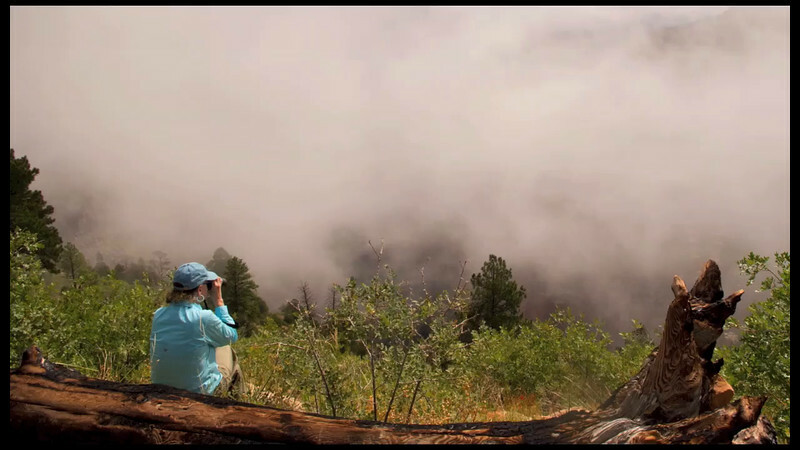 A short video of misty clouds rising from the Grand Canyon. 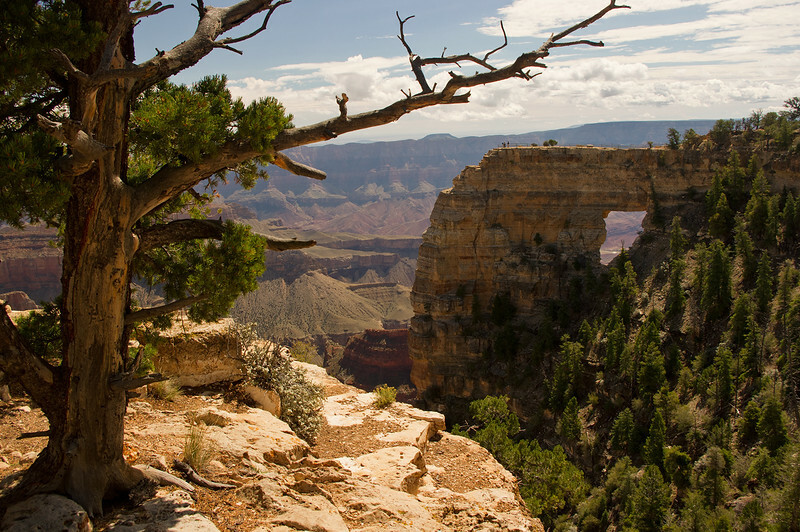 Angel's Window, Cape Royal Overlook, North Rim of the Grand Canyon. 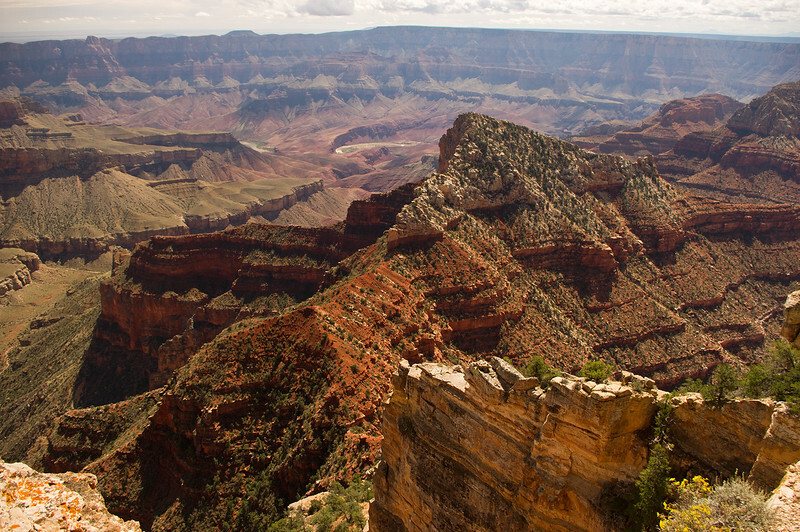 View from the Walhalla Overlook, North Rim of the Grand Canyon. A bend of the Colorado River is just visible in the distance - and the Unkar Delta. This delta of the Colorado River was a farmland for the ancient Puebloans who wintered in the Canyon, and farmed the north rim in the summer. 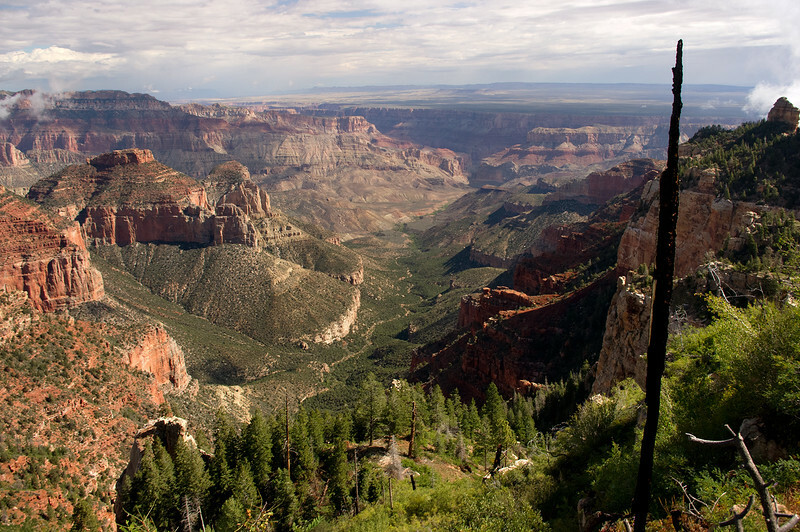 View from the Walhalla Overlook, North Rim of the Grand Canyon. I think it is. 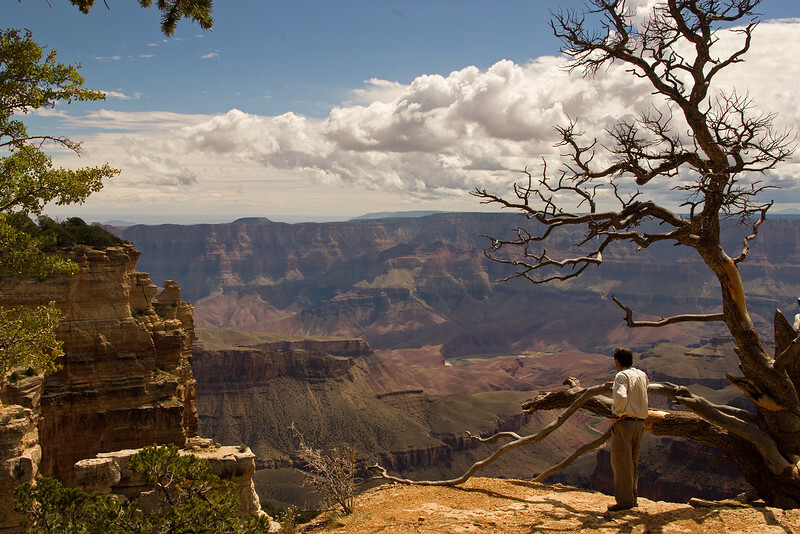 Gary at the Walhalla Overlook, North Rim of the Grand Canyon. The Unkar Delta of the Colorado River can be seen in the distance. 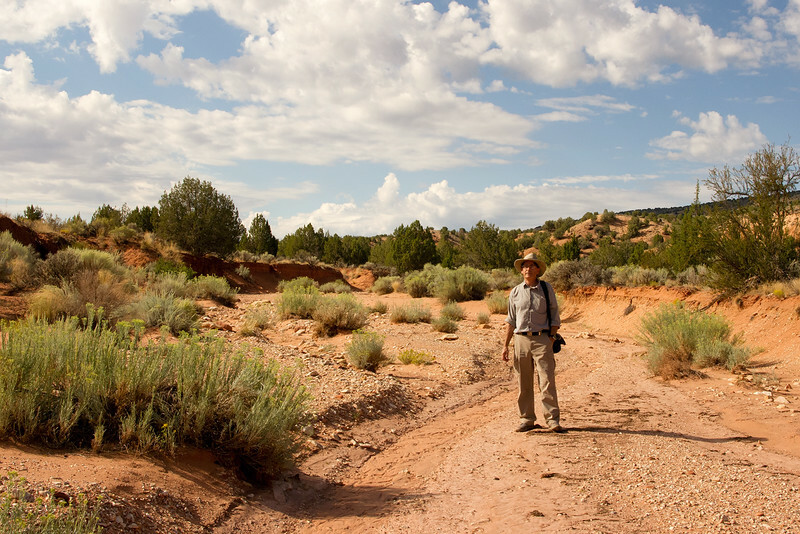 The Delta was winter farmland for the ancient Puebloans who lived up on the Rim during the summer. 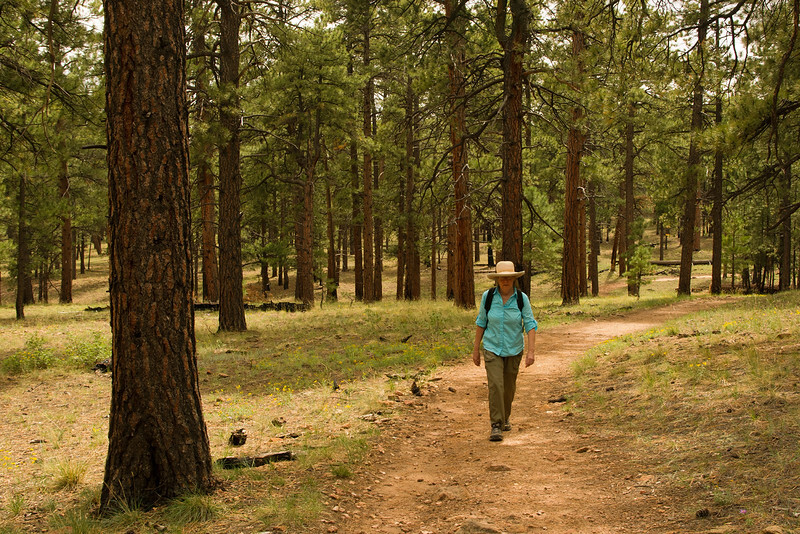 Rita hiking on the Cape Final trail, North Rim of the Grand Canyon. 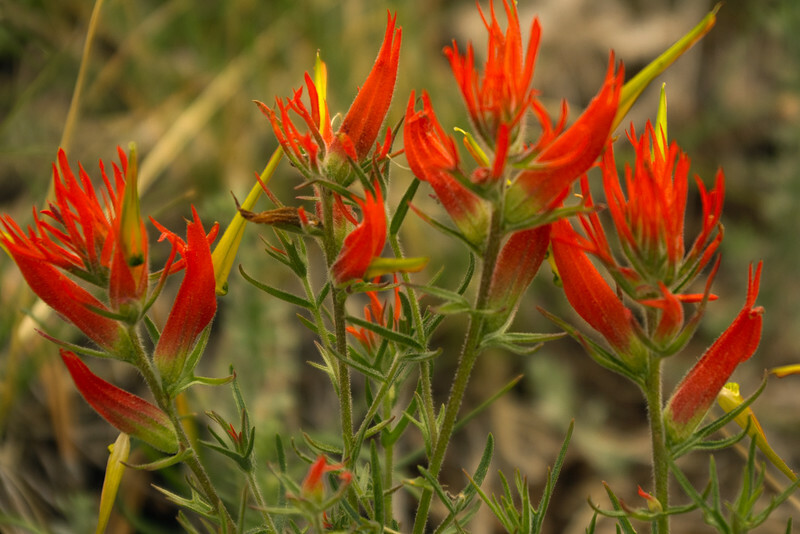 Indian Paintbrush, seen on the Cape Final trail, North Rim of the Grand Canyon. 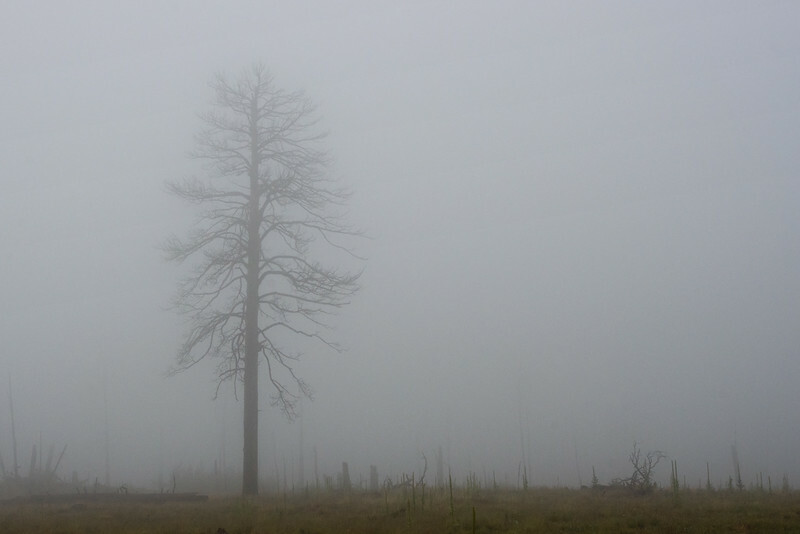 Ghostly skeleton of a dead tree in the fog seen in a burned-over area of the Kaibab Plateau. 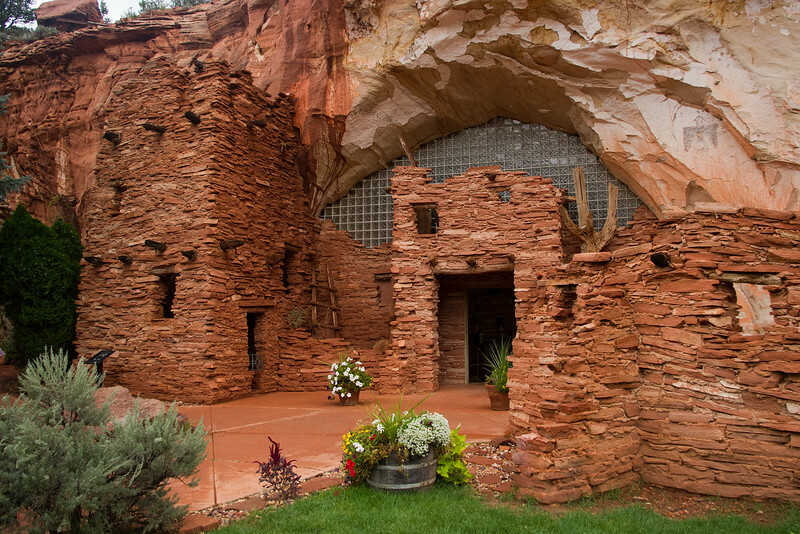 Moqui Cave, just north of Kanab, Utah, is part museum, part tourist trap. OK, maybe mostly tourist trap. 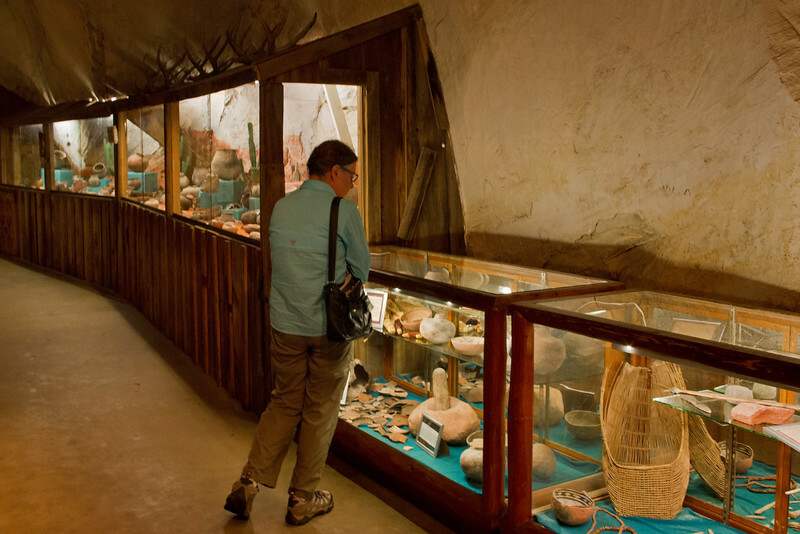 Pots, points and baskets on display at Moqui Cave, near Kanab, Utah - part museum, part tourist trap. 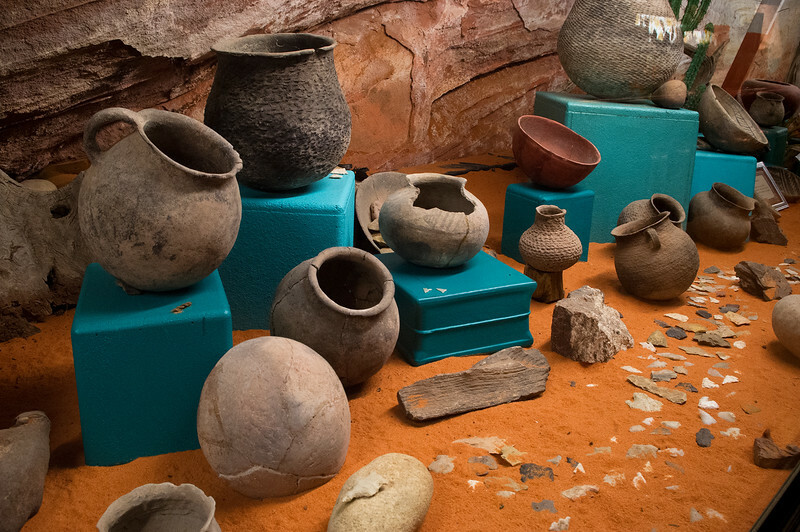 Pots and points on display at Moqui Cave, near Kanab, Utah - part museum, part tourist trap. Nice set of paleo points, found near Clovis, Mew Mexico. 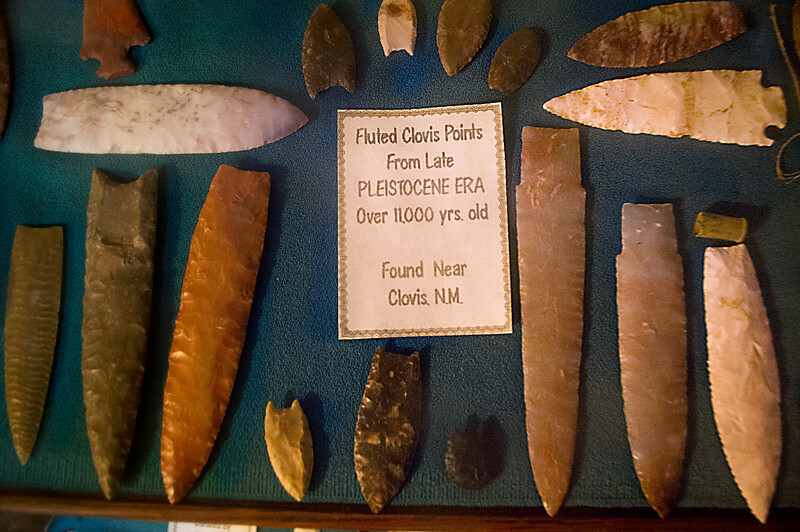 On display at a museum/tourist trap called Moqui Cave, near Kanab, Utah. Pipe Spring National Monument - the Mormon Compound was built on top of the spring, which is channeled from under the house to two collecting pools. 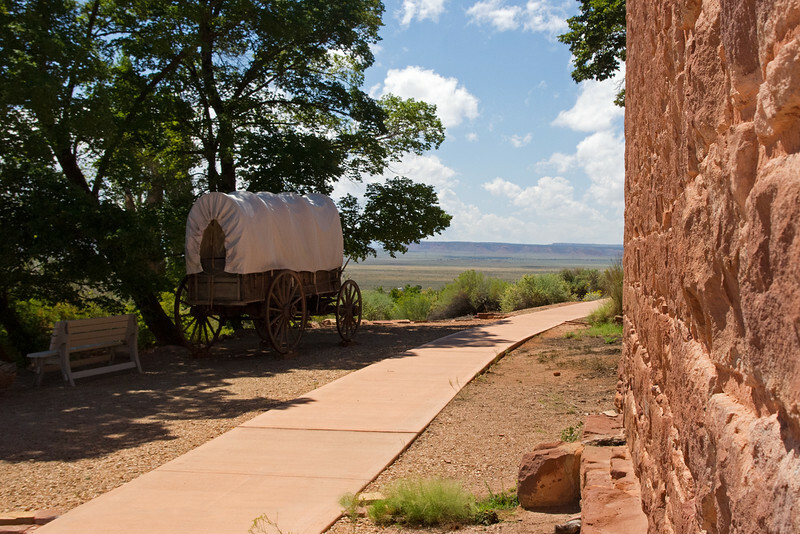 Exterior, with covered wagon - Pipe Spring National Monument. 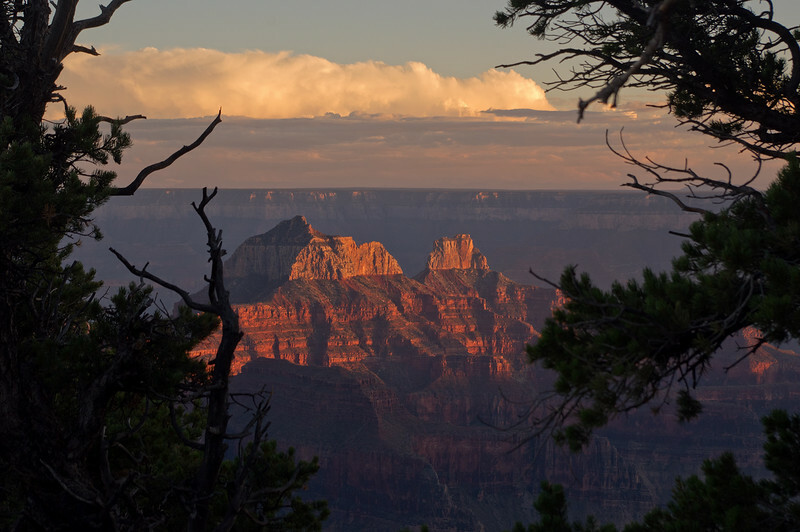 The monument is located on the Kaibab Paiute Indian Reservation, between St. George, Utah and Fredonia, Arizona. 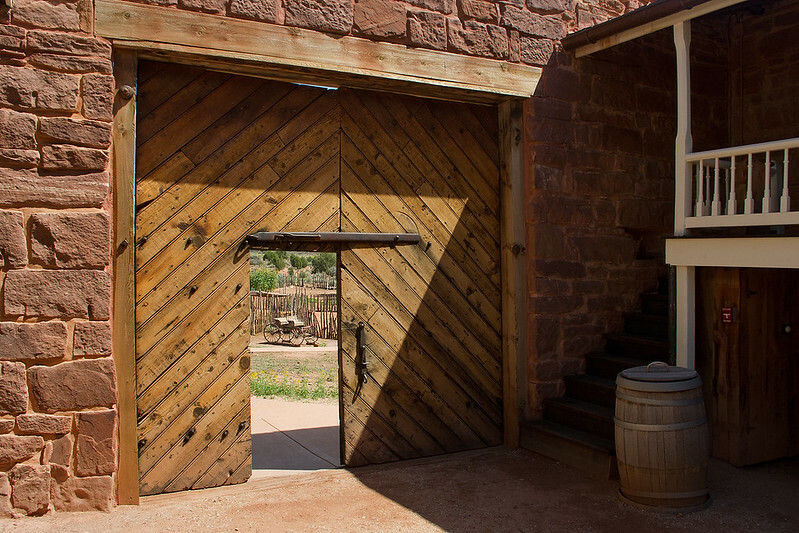 Courtyard door, Pipe Spring National Monument. 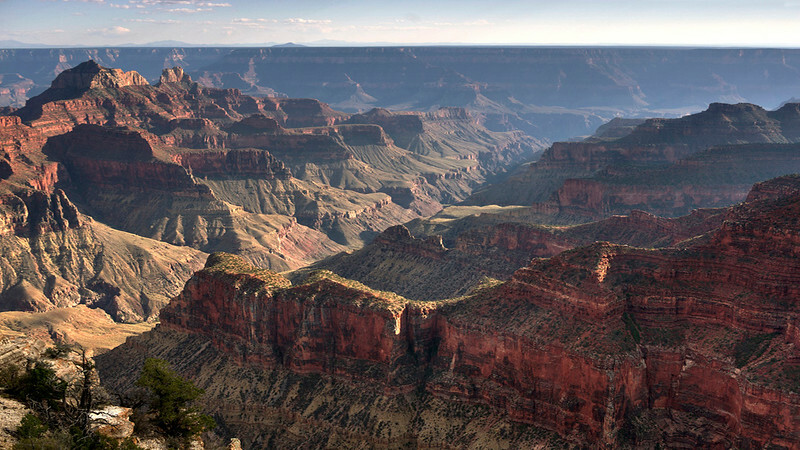 The monument is located on the Kaibab Paiute Indian Reservation, between St. George, Utah and Fredonia, Arizona. 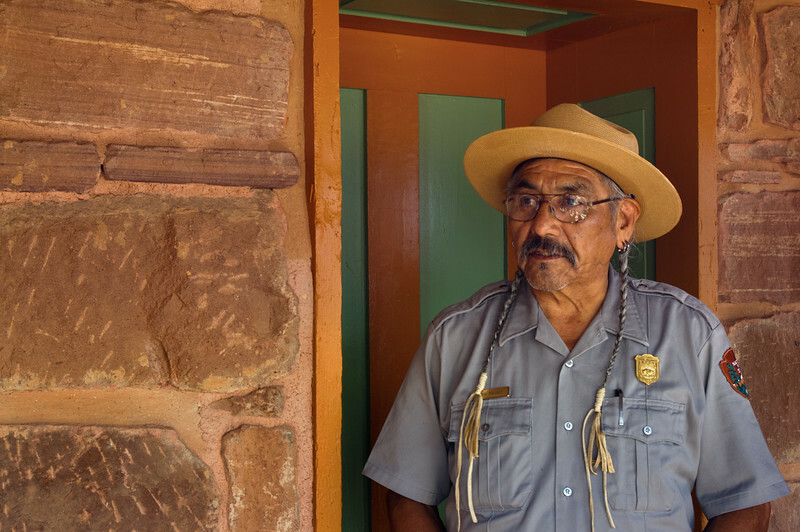 This Park Ranger gave the guided tour of the main house at Pipe Spring National Monument. It was one of the most fascinating 45 minutes of my life. 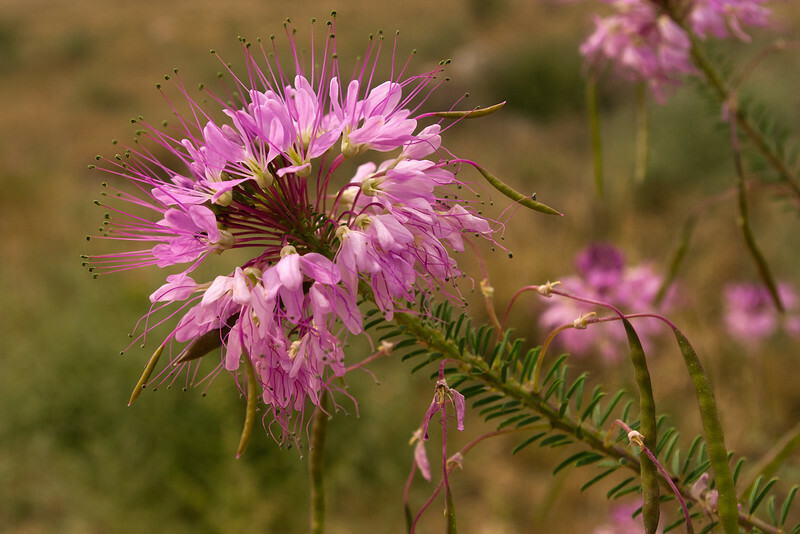 The Monument is dedicated to interpreting the complex relationships between early founders of the Mormon, Church, the Paiute Indians, and the US Government. But this man's vast knowledge went way beyond the basics and he was able to explore theories and provide little known facts to make the history come alive again. 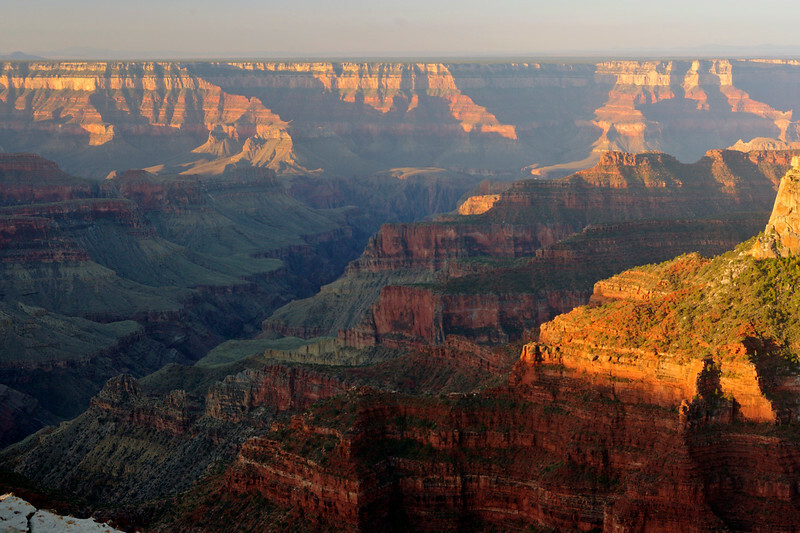 The monument is located on the Kaibab Paiute Indian Reservation, between St. George, Utah and Fredonia, Arizona. 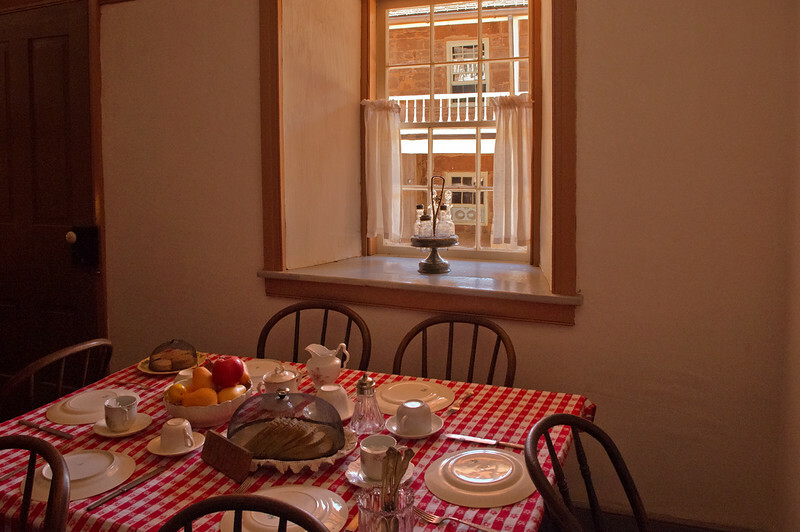 Kitchen, Pipe Spring National Monument. 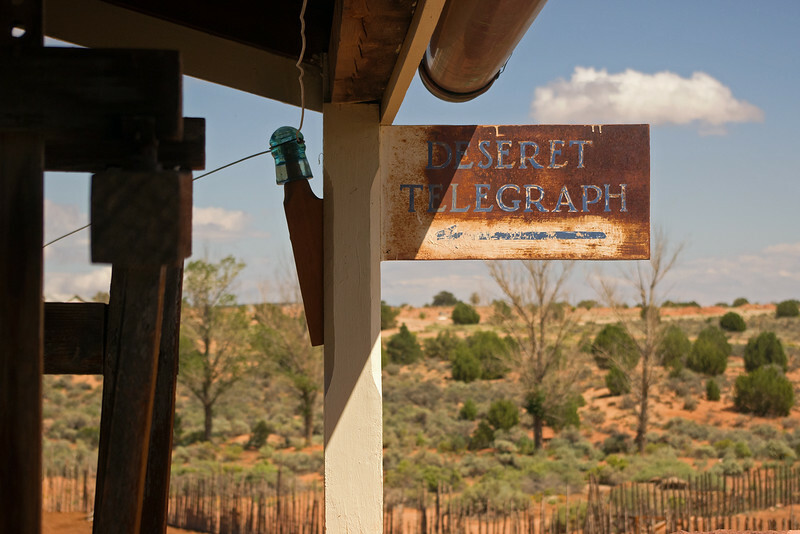 The compound built by the Mormons at Pipe Springs had one of the first telegraph stations in the area. 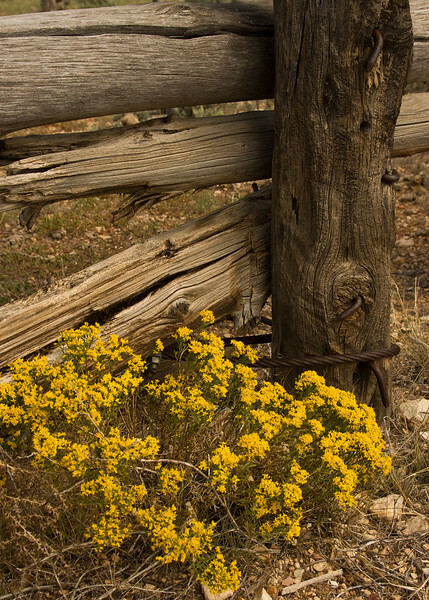 The word "deseret" is not a mis-spelling - that word was was chosen by the Mormons as the name for a provisional territoy which included most of what is now known as Utah and Nevada, northen Arizona and parts of Southern California. Pipe Spring National Monument is located on the Kaibab Paiute Indian Reservation, between St. George, Utah and Fredonia, Arizona. 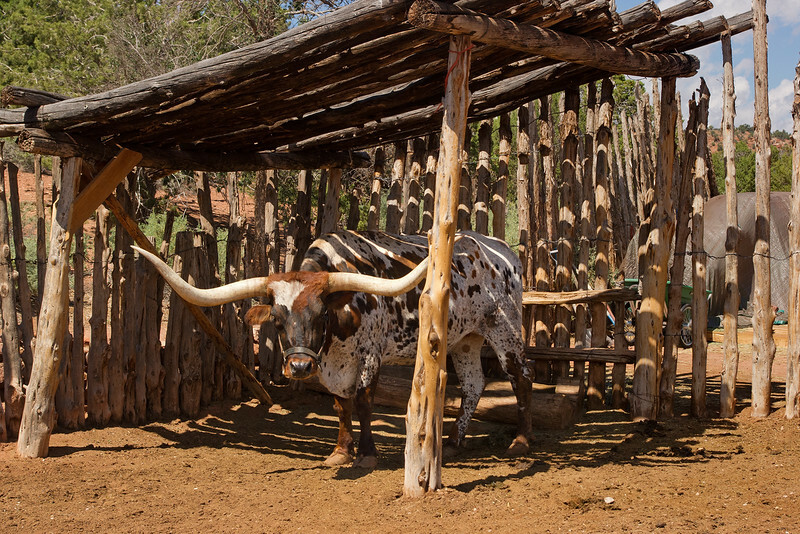 Longhorn steer - Pipe Spring National Monument in northern Arizona. 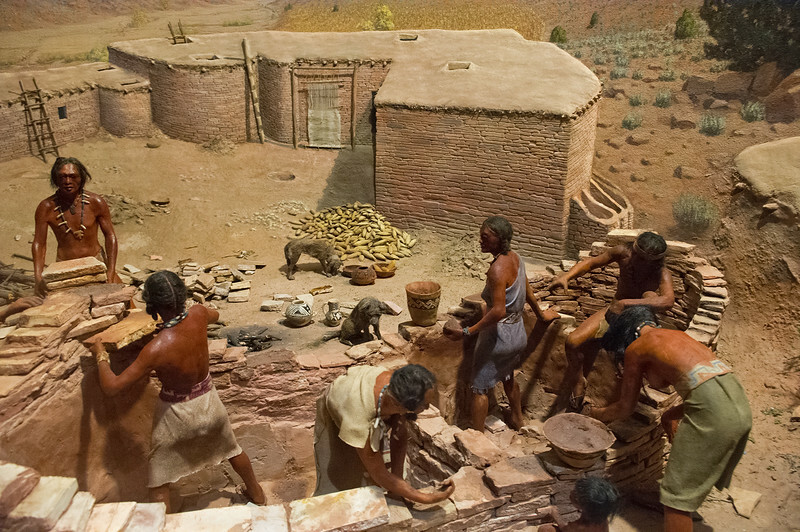 Museum diorama showing Native Americans building a pueblo. 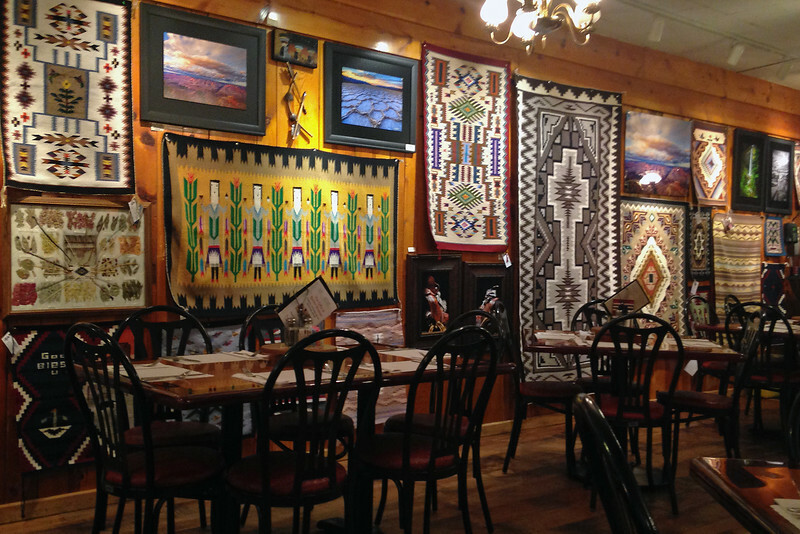 Indian art on the walls of the dining room at Jacob's Lake Inn. Photo by Rita. 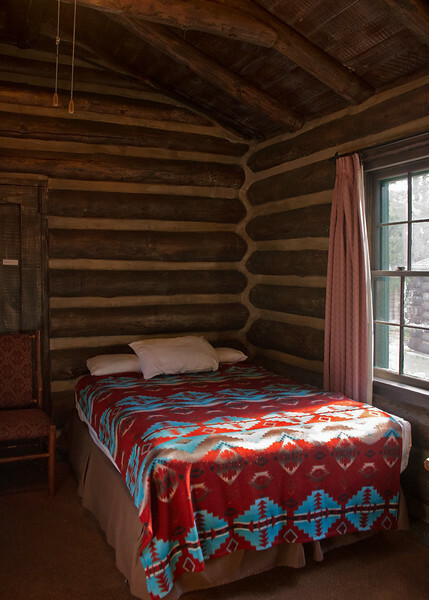 This Frontier Cabin was our home in Grand Canyon National Park (North Rim) for four nights. You might think a massive log wall would muffle sounds on the other side, but we found the cabin to be somewhat noisy. 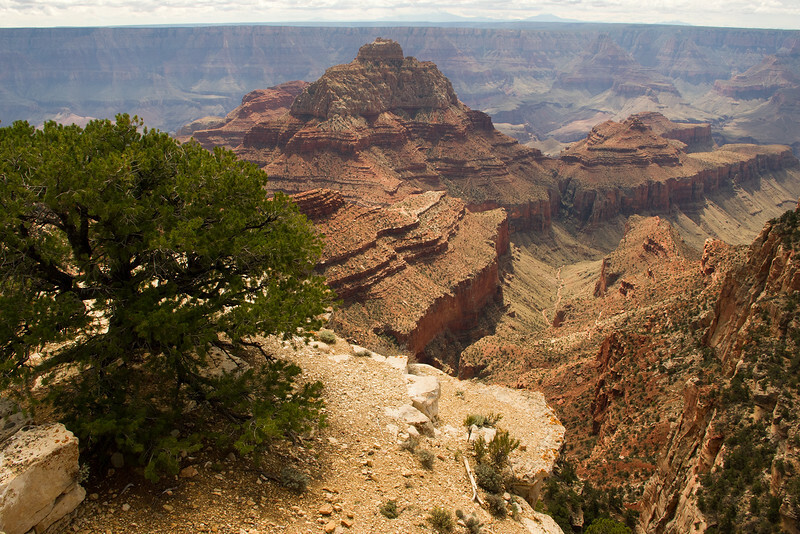 View of the Grand Canyon from the North Rim - Bright Angel Trail.